The top section of a Gifu region kitchen chest. In great condition. SKU: 12967. 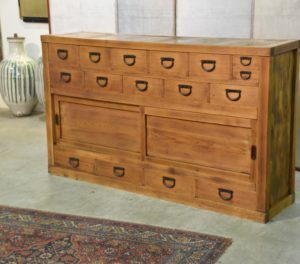 Categories: Chests, New Arrivals, Sideboards.